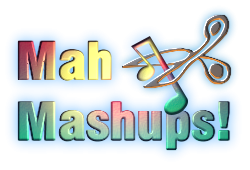 I recently got the urge to dabble in music, and because I’m not really very musically minded, I chose to try creating tracks by mashing up other peoples tracks… saves learning an instrument and putting a band together, huh? So anyways, I bought a simple little sequencer package – Mixcraft – and proceeded to hack some otherwise good songs about to hopefully try and create something a bit, well, different! This is a work in progress, but I like it a lot! Yes, it’s Pink again. What can I say? I like Pink! If you are the copyright holder of any of the original tracks used and would like them removed, please contact me. If you’re Pink… <3 ! 64 queries. 0.191 seconds. | Theme design by Free directory for the free wordpress themes section.